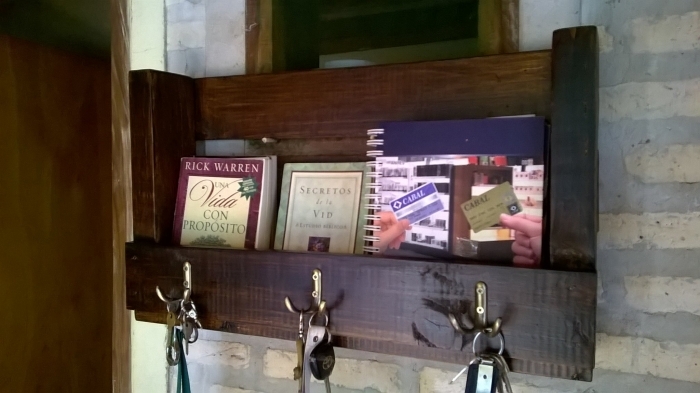 A book shelf and key holders, both of them are a kind of storage hacks. In today’s busy life where our residences have shrunk to mere square feet, we are always in dire need of such storage hacks where we generate some additional space where we can place our several accessories that have not found space in other cabinets and drawers. So how would it sound to make a pallet bookshelf with key holders? Well certainly this is a pretty great idea for sure. 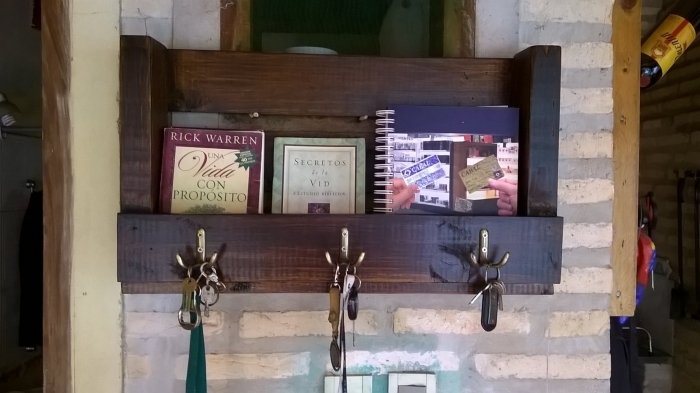 You are going to love this bookshelf with key holders. And the beauty of this bookshelf is lying in the fact that it would not cost you much as the wooden pallet is going to be used as the basic timber or making material so just don’t worry about the finances at all. We see a number of stylish bookshelves out there in the market and we also get them installed in our houses by the domestic wood worker. But the problematic portion is their cost. They cost pretty high as wood is an expensive item to bring home. But when you start recycling the wooden pallet and turning it to house hold furniture items you are no more in need to arrange for heavy finances. 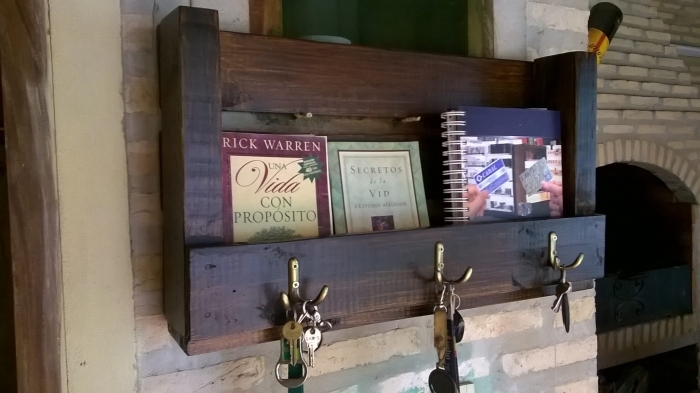 Same is going to be our pallet bookshelf with key holders. Key holders are meant to be a complimentary point somewhere in the room where you can hang a bunch of keys and you never forget. So this special bookshelf with key holders is designed pretty accordingly. It has a wide deep rack where a number of books could be placed at the same time. While there are also additional metallic hooks which could be used as key holders, so this is a multi purposed bookshelf.